This post has been updated with additional photos and a map of where the fighting occured. THE PENTAGON – The Navy SEAL who was killed in a Tuesday firefight with Islamic State in Iraq and Syria militants was part of a quick reaction force sent in to assist a U.S. advise-and-assist team and Kurdish Peshmerga forces who were overwhelmed by a surprise ISIS offensive in Northern Iraq, an Operation Inherent Resolve spokesman told reporters on Wednesday. Special Warfare Operator 1st Class Charles Keating IV, 31, was part of the quick reaction force (QRF) that responded to a request for help from a small group of U.S. forces near the town of Tel Askuf, about two miles away from the front lines between Peshmerga and ISIS forces, spokesman U.S. Army Col Steve Warren said Wednesday morning. 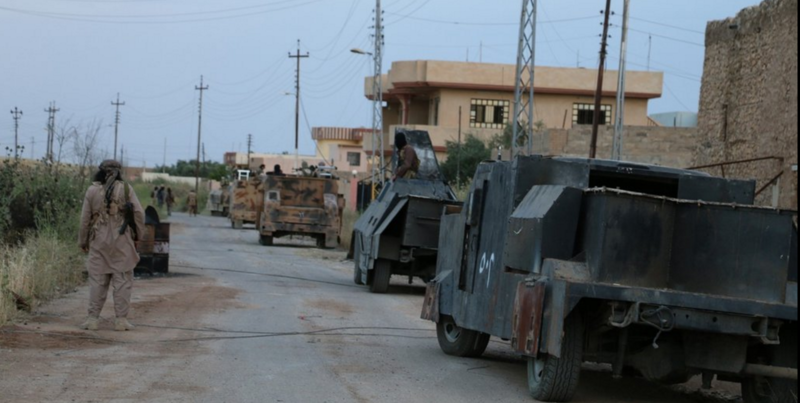 The U.S. advise-and-assist team – composed of fewer than a dozen U.S. troops — was in the town of Tel Askuf when the force of more than 120 ISIS fighters pushed into the area. The ISIS force was made up of a 20 so-called “technicals” – commercial vehicles converted into ad hoc troop carriers and crew-served weapons platforms — and at least one bulldozer, Warren said. 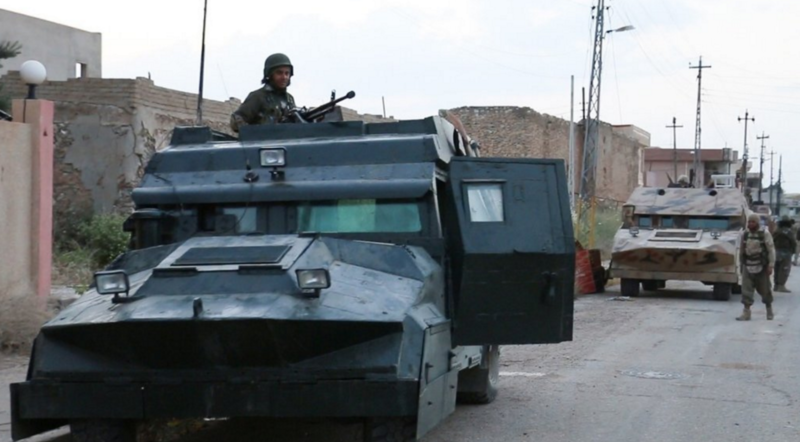 The ISIS breach of the Peshmerga line occurred about 7:30 AM local time on Tuesday, and 20 minutes later the advise-and-assist team reported they were in contact with ISIS forces. In support of the advise-and-assist team, U.S. forces had pre-assembled a QRF in the event the team ran into trouble. The fighting continued for two more hours between U.S. and Peshmerga forces and ISIS fighters before Keating was hit about 9:32 AM Warren would not disclose how long it took the QRF force to enter the fight. Keating “was struck by direct fire, and although he was medevaced within the all-important golden hour, his wound was not survivable,” Warren said. It’s unclear how long the Americans were engaged with the ISIS forces before they left the firefight. However, the gunbattle between the Peshmerga and ISIS fighters continued well after the American QRF and advise-and-assist team were extracted and coalition air assets arrived. “We were able to get a lot of aircraft on scene. There was F-15s, F-16s, there were drones, we had some B-52s and some A-10s that, towards the end, got into the fight,” Warren said. In total, the fighting lasted for 14 hours ending at 9:30 PM local time. Warren said there were Peshmerga casualties in addition to Keating, but did not have the figures on hand. He did say it was the largest clash between ISIS and collation forces at least since December. “This was a large fight, there’s no question about it,” Warren said. According to a Tuesday report from Reuters, early indications from Peshmerga forces that said Keating may have been hit by sniper fire, but Warren said the situation was far from clear. “He was killed by direct fire. But this was a gunfight, you know, a dynamic gun fight, so he got hit just in the course of his gun battle — whether it was a sniper or some fighter with his AK is unclear,” he said. Following Warren’s briefing with reporters, the service released additional details on Keating’s service. He joined the Navy in 2007, leaving Indiana University where he was a long distance runner. 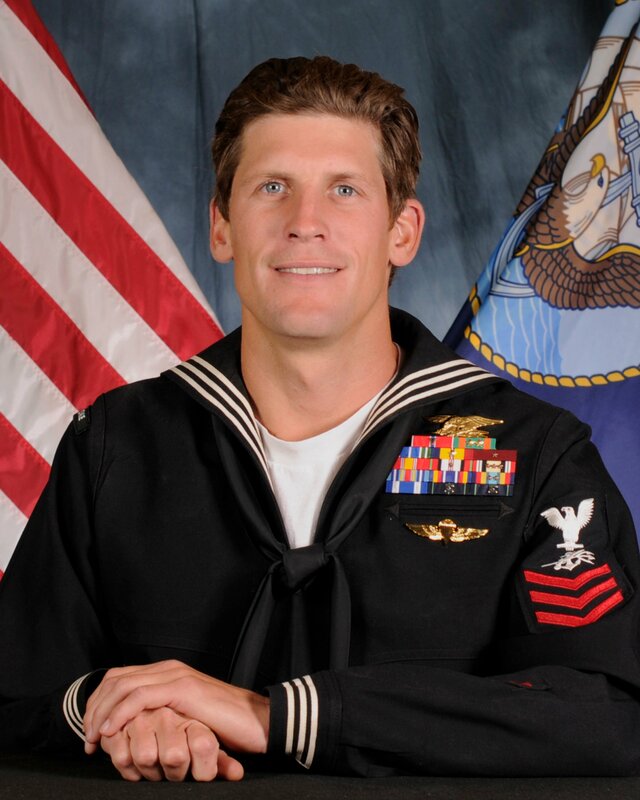 He graduated from the Basic Underwater Demolition/SEAL training in 2008 and served two deployments in support of Operation Iraqi Freedom and one tour in Afghanistan in support of Operation Enduring Freedom. “He then served as the leading petty officer of the West Coast sniper/reconnaissance training cell. Upon completion of his tour as an instructor, Keating checked back into a West Coast-based SEAL Team as a platoon leading petty officer in February 2015,” read a statement from Naval Special Warfare Group 1. Keating was the grandson of Charles Keating Jr. The elder Keating served time in federal prison following in the aftermath of a 1980s failure of an Arizona savings and loan.